Julie Bock is ready to rally. 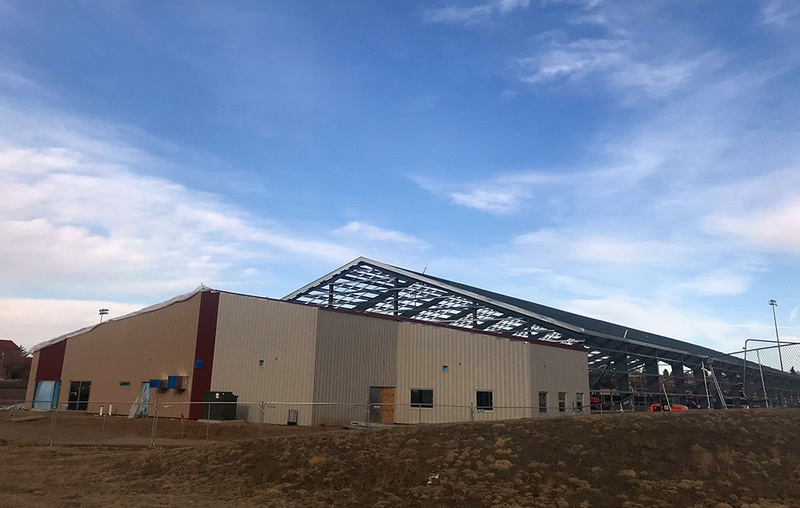 The director of nonprofit Denver Tennis Park Inc. has been overseeing the development of a 13-court facility — seven indoor and six outdoor — at 1500 S. Franklin St. in Denver. Groundbreaking was held in August, and construction on the building began in January. Bock said the Denver Tennis Park complex will open in November. The $13.8 million facility is a collaboration of Denver Tennis Park Inc., Denver Public Schools and University of Denver. It is raising funds through efforts by Denver Tennis Park and DU, as well as Denver Public Schools bond funds for drainage work. The facility will be open to the public, and host the DU tennis team and youth tennis programs. 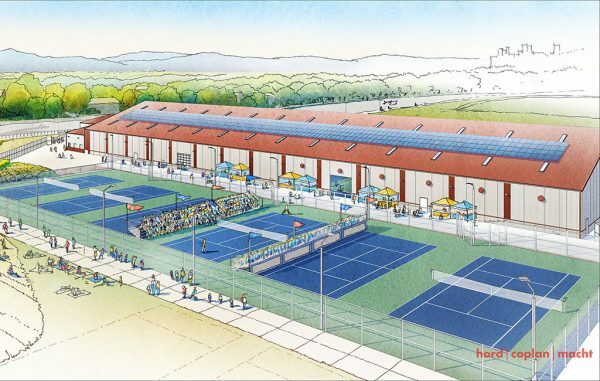 1 Comment on "13-court Denver Tennis Park slated to open in November"
The drawing looks great, but in reality it’s turning out to be an eyesore. Seems like a gift to DU too.